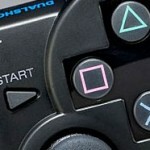 Sony says stay away from fake PS3 controllers because they could be dangerous. Although fake PlayStation 3 controllers look exactly the same as real ones, according to a Sony consumer alert bootleg versions may “ignite or explode” while using them, potentially putting you or others at risk of harm. Talk about feedback. Sony goes on to mention they do not support unlicensed controllers in PS3 system software updates and so your cheapo SIXAXIS Dualshock 3 won’t always work. They also mention the controllers may cause damage to your PS3. Therefore, stick with the real thing. You won’t regret it.